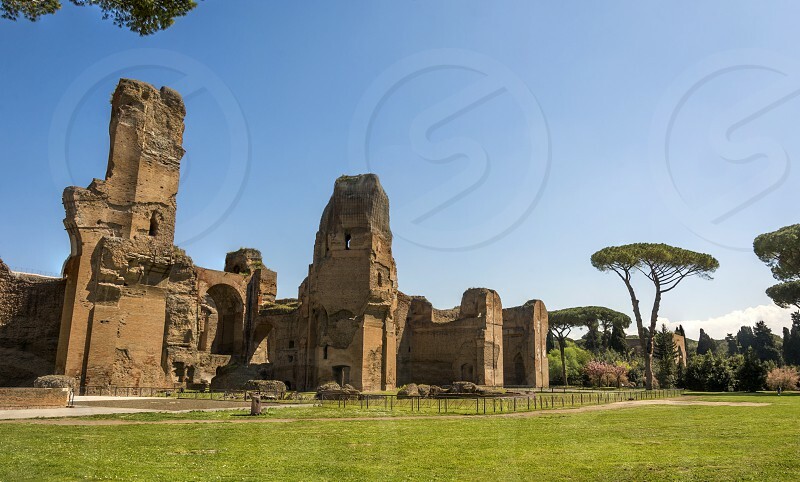 The Baths of Caracalla in Rome, Italy, were the second largest Roman public baths, or thermae, built in Rome between AD 212 (or 211) and 217, during the reigns of Septimius Severus and Caracalla. They would have had to install over 2,000 t (2,000 long tons; 2,200 short tons) of material every day for six years in order to complete it in this time. Records show that the idea for the baths were drawn up by Septimius Severus, and merely completed or opened in the lifetime of Caracalla.